HNI is preparing to empower Tanzanian farmers with free and actionable information on “Climate‑Smart Agriculture” accessible on simple mobile phones with the 3‑2‑1 Service. 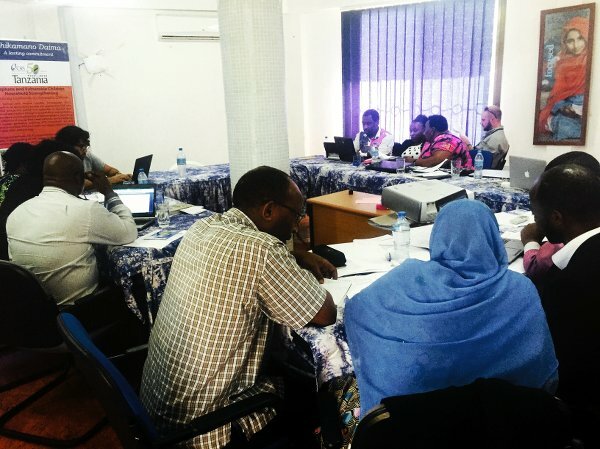 In partnership with Catholic Relief Services (CRS) HNI conducted a workshop to draft Climate‑Smart Agriculture information for the 3‑2‑1 Service with Tanzania’s Ministry of Agriculture Livestock and Fisheries, National Extension Officers and with farmers themselves. The information, in Swahili, is developed in line with national guidelines, and will be hosted by Vodacom Tanzania, HNI’s telecom partner in Tanzania. Agriculture in Tanzania is the biggest contributor to the economy, accounting for about half of the country’s GDP and export earnings. The Agriculture sector employs 77.5 percent of the population, provides livelihood to more than 70 percent, and contributes about 95 percent of the national food requirements, according to the Ministry. 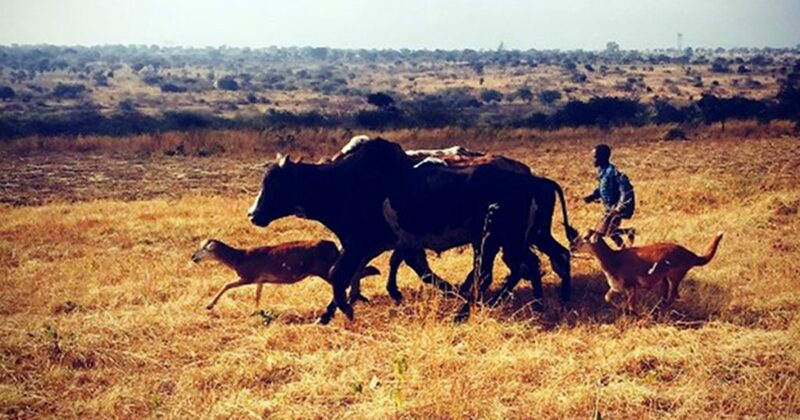 Although the agriculture sectors are key drivers of social and economic development in Tanzania an increase in temperature, declining rainfall and more frequent droughts have lead to huge reductions in agricultural production in Tanzania. This has threatened the lives and livelihoods of millions of low income families across the country. Globally, climate change has been occurring at increasing rates over the last 30 years, having a significant impact on natural resources and agriculture. The result of climate change has meant a decline in agricultural productivity, including changes in agro-diversity. The prevalence of crop pests and diseases is also reported to have increased posing more challenges to agriculture. Studies by the Tanzania Meteorological Agency (TMA) indicated that some areas, that were once considered highly productive, such as the southern and northern highlands will continue to be affected by declining rainfall, frequent droughts and significant increase in spatial and temporal variability of rainfall. In the long term this will impact planning and resource allocation, and may even lead to a shift in types of agricultural products. 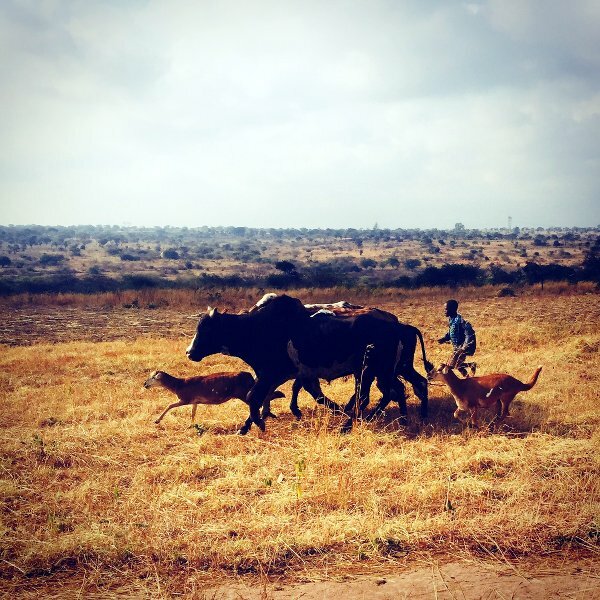 A farmer in Tanzania’s Iringa region, and a potential user of the 3-2-1 Service. The impact of climate change and variability are expected to lead to seasonal shift, shortening of seasons, pasture and water shortages and related conflicts. Climate change is also expected to increase the severity, duration and frequencies of weather related extreme events such as drought and floods, thus affecting agricultural production and threatening the lives and livelihoods of millions of poor people. Warmer temperatures, wetter climates and increased CO2 levels are also projected to favour increase in insect pests and fungi, leading to an increase in the use of pesticides and fungicides, which may negatively affect human health. As a result of the direct impact of climate change on the agriculture sector, there is an urgent need for farmers to adapt their agricultural practices in Tanzania. It is believed that effectively reducing vulnerability of agriculture to climate change will significantly contribute to socio-economic development and ensure food security. The Ministry of Agriculture, Livestock and Fisheries have been working hard to address the concerns surrounding Climate Change and Agriculture and this year they will publish the National Climate‑Smart Agriculture (CSA) Guidelines, which identify and respond to some of the most immediate threats posed by climate variability and climate change to the agriculture sector. The purpose of these guidelines is to accelerate uptake of CSA practices in the country to increase productivity and climate resilience in the agriculture sector, but also to reduce greenhouse gas emissions. These guidelines are essential to all stakeholders especially extension officers for informing smallholder farmers, on the best way to adapt and mitigate in building resilience for agricultural farming enterprises. However, disseminating and educating the estimated 31 million people who are actively involved in agriculture in Tanzania, is a big task and given the urgency of farmers adopting Climate‑Smart practices, there is a need to disseminate this information through more innovative and effective channels. Unsurprisingly, mobile has been identified as one of those suitable channels. The 3‑2‑1 Service works like a search engine, but without the need of an Internet connection. At any moment, someone can use their simple mobile phones to proactively retrieve information on CSA, via Voice, SMS, USSD or Web. After dialing “321” farmers follow voice prompts that lead them to the information they need on how to farm more effectively in a climate change context. When designing the messages in the workshop the content committee ensured that when adapting the content of the CSA Guidelines, each message was designed to be as easy to understand and as actionable as possible. Through the use of the 3‑2‑1 Service we are expanding the ability of the Ministry of Agriculture to provide crucial information, in particular, with farmers working in the most remote and poor areas of Tanzania. Users of the 3‑2‑1 Service will also be able to opt in to receive call notifications from the government and key partners. In turn the Service enables the ability to monitor more closely the number of farmers who are proactively accessing information on Climate‑Smart Agriculture.